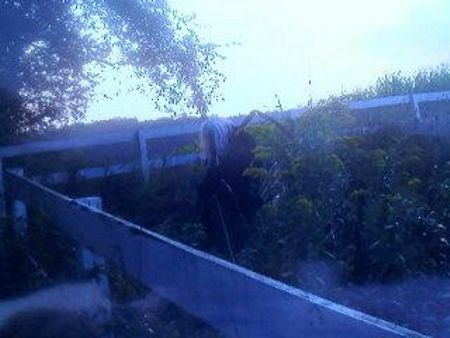 These are 2 photos of the ''Lady in Black'' taken at fort Barr Cemetery. The cemetery is that of the Civil War era. No one around here speaks of this silver haired lady, who has black holes where the eyes are. 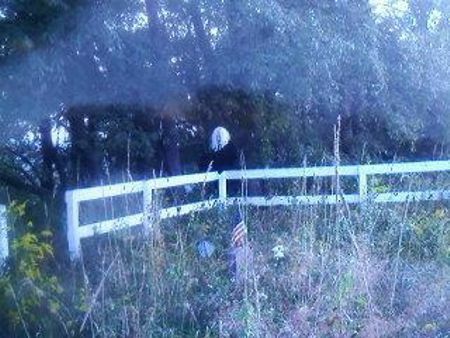 Fort Barr Cemetery is rev war and holds the graves of some rev war veterans and settlers from the area. That's just a picture of a woman in a wig.